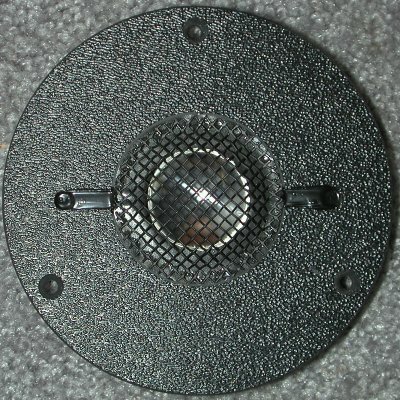 This a slightly larger diameter version of the PRO 002 M aluminum concave dome tweeter. 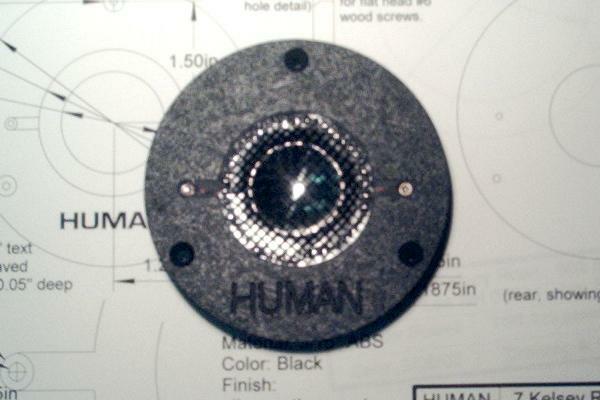 The extra face plate area makes them easier to install by allowing more gasket room. 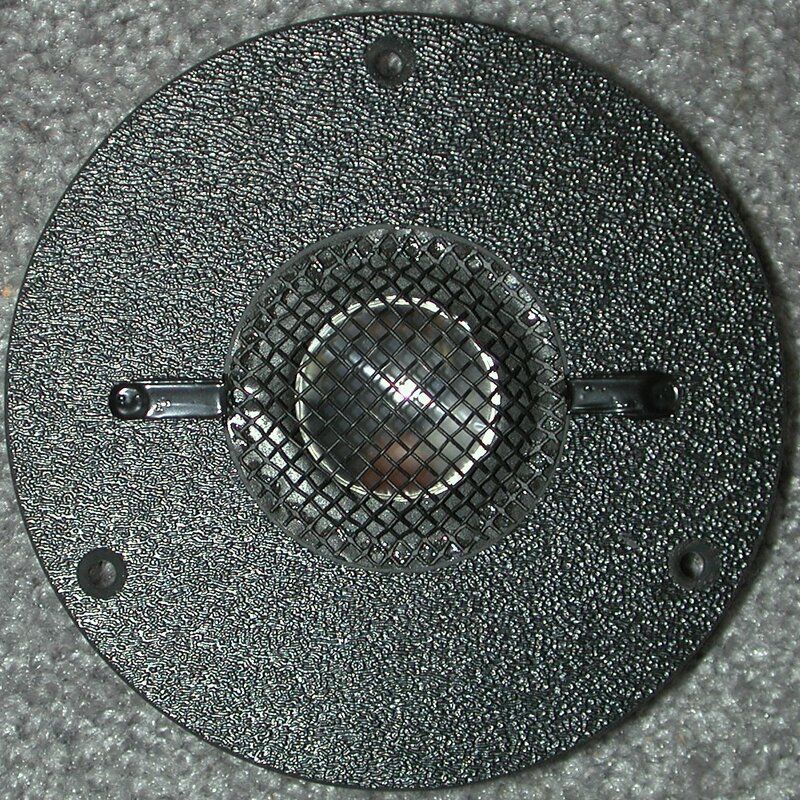 They are also more compatible with many, many other tweeters used over the years, and as such make a better drop-in upgrade for other brands of speakers. They are designed to be mounted in a 2.6" to 3" diameter hole, which has been enlarged on two opposite sides to allow for the terminals. The connections are 0.200" male spade lugs. 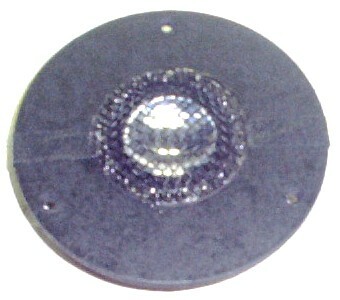 The faceplate is machined from non-resonant black ABS with an attractive textured front surface. 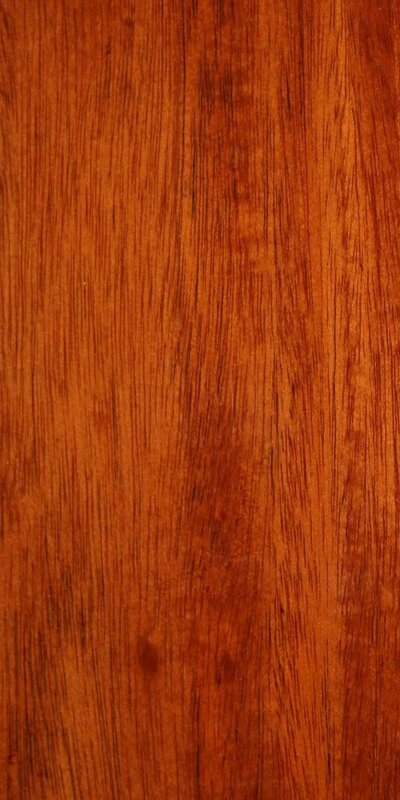 They are drilled for three #6 flat head screws or bolts (not included). B: Hole diameter 2 5/8"
B1: Rivet centers 2 3/4"
B2: Edge of "ears" 3 1/4"
D: Magnet diameter 2 9/16"
E: Magnet structure height 0.7"
H: Nominal VC diameter 0.8"
The PRO 002 M has a smaller, 3 1/2" diameter faceplate. I recommend the PRO 002 M where space is a serious consideration, and the PRO 002 M2 for general use due to to its "easier to mount" dimensions. 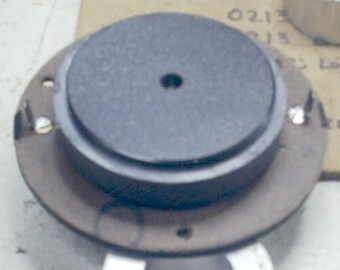 There are several other tweeters in the "M" series, originally developed to replace the tweeters in certain EPI models. The magnet structure and specifications are the same as the PRO 002 M. You may find their shapes and sizes useful, so they are also available for your DIY projects.